Frequently whimsical, often profound, always honest, Andrea shares her spiritual journey—one that feels familiar to anyone seeking Jesus. It's a jumbled jaunt from religion to relationship, from going to church to being the church. • A compelling story of Jesus’ relentless pursuit of those who desire to know him. • An upbeat, honest glimpse at how church does—or doesn’t—welcome those who come seeking answers. • Reflective devotions and journaling space at the end that draw you deeper toward your heart of faith. • Inspiration that you, too, can find your way to a deeper, more transforming relationship with Jesus. Andrea Syverson grew up a happily devout Catholic. 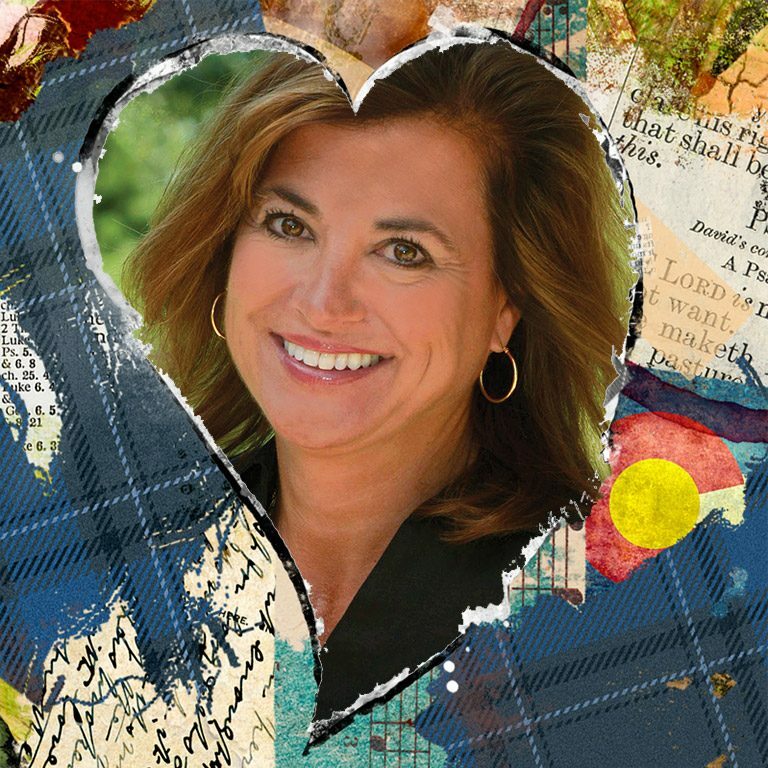 After decades of plaid uniforms and even earning an MBA from a Catholic university, her life took an unexpected turn when she fell in love with a Protestant. She and her husband, Dean, have been partners in marriage, business, and faith for more than 20 years. Andrea is also the author of two business books, ThinkAbout: 77 Creative Prompts for Innovators and BrandAbout: A Seriously Playful Approach for Passionate Brand-Builders and Merchants. And then Andrea did the unthinkable. She fell in love with a non-Catholic man, whose questions about her faith she simply couldn’t answer. What’s a good Catholic girl to do? Frequently whimsical, often profound, always honest, Andrea shares her spiritual journey—one that feels familiar to anyone seeking Jesus. It’s a sometimes jumbled jaunt from religion to relationship, from going to church to being the church. Whether you love church, are done with it, or are simply seeking a more authentic relationship with Jesus—Andrea’s story will speak to your heart. Andrea Syverson grew up a happily devout Catholic. After decades of plaid uniforms and even earning an MBA from a Catholic university, her life took an unexpected turn when she fell in love with a Protestant. She and her husband, Dean, have been partners in marriage, business, and faith for more than 20 years. Andrea is also the author of two business books, ThinkAbout: 77 Creative Prompts for Innovators and BrandAbout: A Seriously Playful Approach for Passionate Brand-Builders and Merchants. 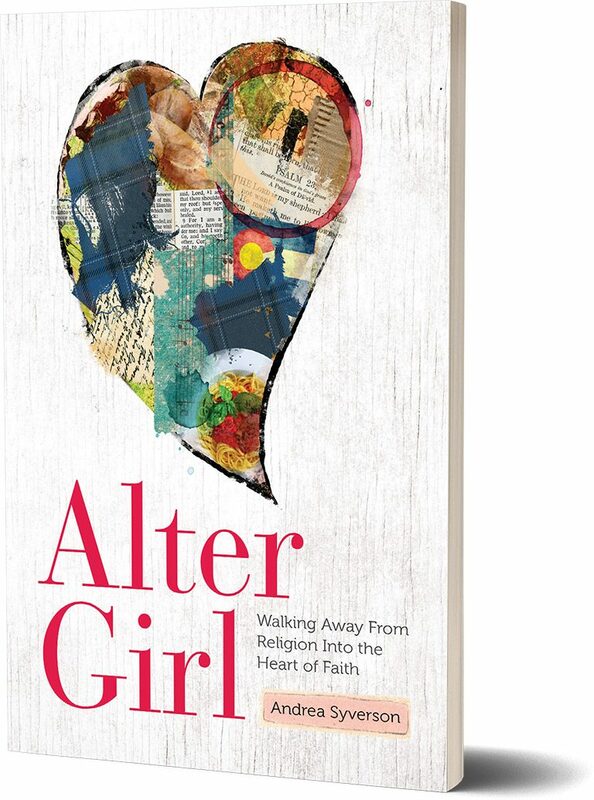 "Alter Girl is an eye opening, encouraging and deeply personal read to help every believer go deeper into the beauty of the Gospel. Andrea writes particularly to those of the Catholic faith to encourage them to come to know that "Jesus loves me as is!" The power of her testimony and life's journey into a revelation of the intimate love of God will be alluring to every reader."  "Alter Girl is a tour de force of learning how to abandon preconceptions of the life of faith and embrace what is so generously given. Beautifully and honestly written." "You hold in your hands an epic tale through religious disillusionment into a discovery of a more personal and vibrant faith. With refreshing wit and candor, Andrea Syverson invites you inside her Catholic upbringing, her marriage outside that faith, and her efforts to live out her faith with a community of believers. Not everyone finds their way through this journey with their faith intact. She did, and what she discovered along the way can be of real help to you." "Alter Girl is a must-read for any church leader who is serious about the question of why faithful people leave the church. Syverson’s story is vulnerable and honest, raw, and layered with significance. Like many who struggle with the institutional church, Syverson’s decision was thoughtful, discerning, and deeply reflective. This is a story of love seeking an even Greater Love that could only be found by leaving something behind." President and Chief Executive Officer, Saint Mary’s Press, Inc.
"Andrea Syverson has written a gripping book that is equal parts memoir/thriller/ confessional/spiritual call-to-arms. Henri Nouwen wrote, “That which is most personal is most universal,” and this book proves his point. In her journey from a Catholic upbringing as sure and expected as gravity, to the open expanse of an evangelical adventure in the wild West, she offers an emotionally raw peak into her gathering intimacy with Jesus. This book could have been a polemic; instead, it is shot through with affection and an eager and unselfconscious honesty. The cherry on top is her sense of humor, which creeps onto every page. If you are searching for God, or trying to make sense of the deeper longings of your life, Andrea is your new best friend." "The world needs books like Andrea’s that bring to life the experiences and potential of those who live faithful lives outside the institutional church. This powerful personal account brings comfort to and insight into the growing phenomenon of Dones." For press inquiries regarding Alter Girl, please contact Craig Cable at ccable@group.com.